As part of the Stephen Perse Foundation, CCSS will continue to operate as an independent college, offering GCSE, A-level and University Foundation courses whilst enjoying the advantages of being part of the wider campus of schools. Both organisations will benefit from the enhanced educational and strategic opportunities arising from the additional scale and wider reach of the enlarged group. CCSS is an independent sixth-form college for boarding and day students, which offers A Level, GCSE and University Foundation courses to a diverse community of students of up to 30 different nationalities. However, the college also has a significantly large proportion of British students (35-40%) and, unlike almost all independent colleges across the UK, is a registered not-for-profit charitable trust. It has a strong charitable mission to grow the number of fully-funded bursary places that can be offered to disadvantaged students and works collaboratively with local state schools, providing extension programmes and support, and discounted revision programmes. CCSS was founded in 1981 to provide highly personal tuition to students preparing for O and A Levels. In 2001, CCSS was transferred from private ownership into an educational charitable trust, and now operates as a not-for-profit organisation. With a mixed ability cohort of pupils whose first language is often not English, students at CCSS achieve excellent academic results. In 2018, 84% of Year 13 students achieved A*- C grades at A Level and 40% achieved A*-A grades. How are the Stephen Perse Foundation and CCSS aligned? The Stephen Perse Foundation’s vision of preparing young people for the globally interconnected world they will live in is shaped by Cambridge. With an internationally top performing university cheek by jowl with the entrepreneurial power house of Silicon Fen, our young people have the privilege of growing up in a city which is pointing towards a very different future for them. CCSS, acting as a beacon of education for young learners across the globe, as well as local students, equally embraces a global future and identity. Just as Cambridge is our campus, so too does CCSS encourage a spirit of curiosity about the city and its environs, promoting learning beyond that required by qualifications. A priority for both institutions is placing the learner at the centre of their education. The CCSS ethos places an emphasis on each individual’s learning experience – its small scale makes this possible. In a commercial market CCSS stands out as a charity; it shares our strong sense of the importance of public benefit and is keen to explore ways of making a meaningful difference in the community. Last, but not least, the pioneering spirit which is the hallmark of Stephen Perse schools, was also integral to the establishment of CCSS in 1981, where its purpose was to offer a different type of preparation for university - outside of the traditional school framework - in the form of small teaching groups within a more personal college environment. Why is CCSS joining the Stephen Perse Foundation? The Stephen Perse model of a group of schools brought together under one Foundation has been extremely successful. It ensures that, while schools in the group can remain small and every student be individually known, each school has the educational and economic benefits of being part of a large Foundation. To maintain this success, we look to the future to ensure that we continue to develop and offer an exceptional and relevant education, while managing the economic and political risks we all face in a changing world. Similarly, in a competitive and fast evolving market, CCSS believes its best interests lie in being part of a larger organisation and group of schools. There are many synergies between the vision of the two organisations and the merger presents strategic opportunities to both. CCSS will continue to operate as a separate college, offering a sixth-form experience to a different cohort of pupils to the Stephen Perse 6th Form College, and allowing more students from across Cambridge and the globe to benefit from a Stephen Perse education in the future. What will the educational experience be for CCSS and Stephen Perse Foundation students? There is no intention to merge academic teaching at CCSS and the Stephen Perse 6th Form College but we are excited about the opportunities for collaboration that this venture will bring to students. Lessons at CCSS and the Stephen Perse 6th Form College will remain separate and will be taught by teachers from each school. In addition to the excellent teaching provided at both colleges, CCSS is able to offer English language support for those who don’t meet the Stephen Perse 6th Form College’s IELTS requirements, giving greater academic attention to students who require it. This means that for both CCSS and Stephen Perse students, there will be little, if any, day-to-day change in lessons and in the teachers who teach them. However, education is about far more than the examined curriculum - we equip our students with a breadth of skills and experiences. The larger, combined sixth-form student body will allow for an expansion of the already successful ‘Inspire and Guide’ and ‘CAS’ programmes, preparing our young learners for their future and getting them ready to make their mark as active global citizens. 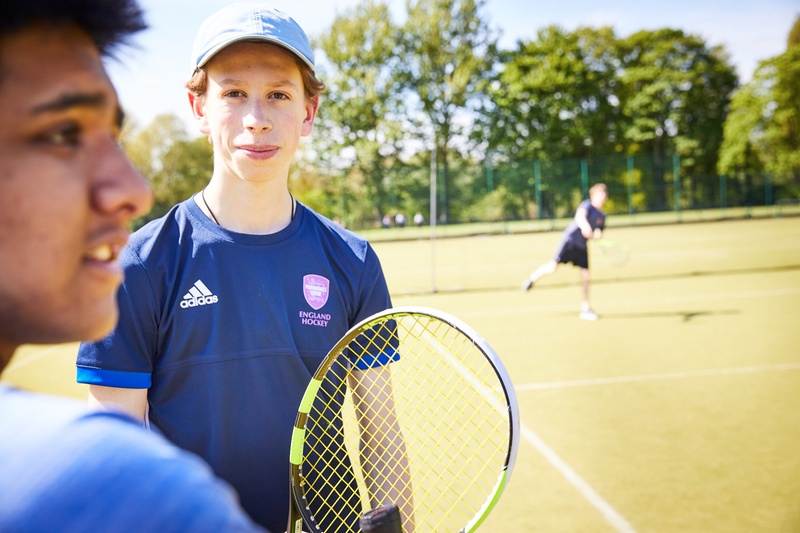 It will also enable us to expand our sixth-form sporting, music, drama and other enrichment and extra-curricular opportunities, making the most of our fantastic facilities and those of Cambridge. Will Stephen Perse students be offered boarding? Yes, although in the sixth-form only. While the Stephen Perse 6th Form College does not intend to expand its overseas recruitment, the excellent boarding arrangements operated by CCSS will allow our existing “home stay” students to board. CCSS operates a boarding house on Brooklands Avenue, which is perfectly located for the Stephen Perse 6th Form College.